First solo exhibition in the UK of textile artist Laura Cook aka Art Slave. Hand dyed natural fiber custom garments. This is the first solo exhibition of Art Slave by Laura Cook. Cook is “a slave to art”, as many are “a slave to fashion”. Each of Cook’s custom pieces is created using natural materials that are hand-dyed designed and constructed to create timeless elegant comfortable garments. 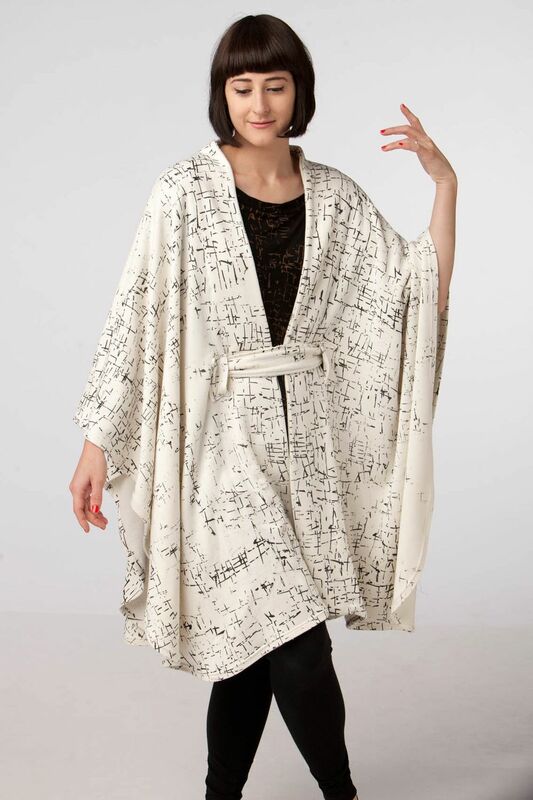 ArtWear will feature one-of-a-kind jackets, tunics, skirts, scarves, tees and leggings. Also on display will be fine art textile pieces, and a quirky project entitled “Tagging Grandma’s Wallpaper”. Cook is a new arrival to the United Kingdom from America where she worked full-time for the past 9 years as the Textile Surface Designer for Kiss of the Wolf. Now working from her studio in Suffolk, she is avidly perusing means to link art and community involvement. 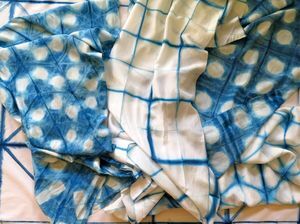 The ArtWear exhibition is in conjunction with The Bury Art Trail, The Bury Festival, The Suffolk Festival of Ideas and Elsey’s Indigo Dye Workshop.